A teen girl has pleaded guilty to pushing a friend off a bridge last year and causing her serious injuries. 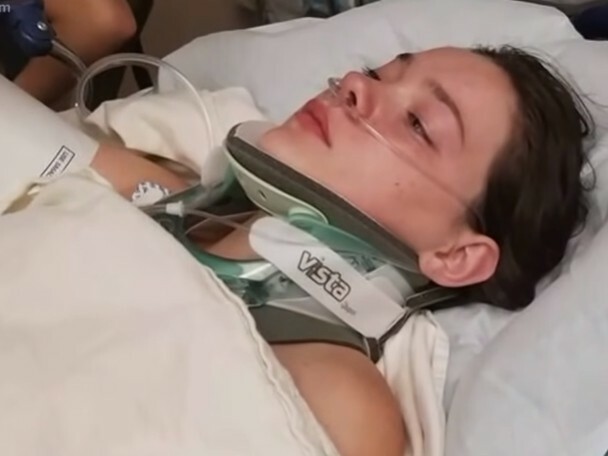 Taylor Smith, 19, appeared in a shocking video showing her pushing a friend off the Moulton Falls Regional Park bridge to a 60-foot fall into a river on August 7. The friend, Jordan Holgerson, suffered six broken ribs and punctured lungs upon hitting the water unprepared. Smith was initially charged with one count of reckless endangerment last August. The charge is a misdemeanor with a maximum penalty of a year in jail and a $5,000 fine. She originally pleaded not guilty to the change, but on Monday Smith changed her plea after an undisclosed deal was made with prosecutors, CNN reported. The victim testified that she had planned to jump off the bridge, but once she got over the edge, she became frightened and decided not to do it. But Smith pushed Holgerson causing her to fall unprepared to the river below. Holgerson said she was disappointed by the decision by the judge to delay sentencing. “I don’t really want to wait til next Wednesday,” Holgerson said. “I kind of wanted it to be done today. The video of the incident went viral.